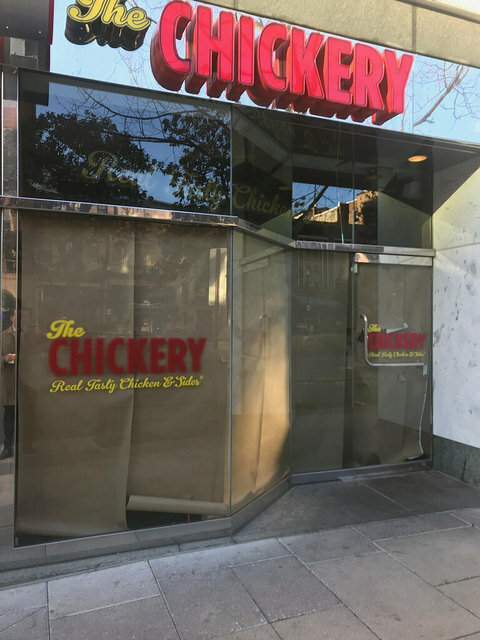 Thanks to Eric for sending word that The Chickery has been papered over. They opened up back in December 2015 in the former Black and Orange burger spot (formerly Rogue States). Updates when we learn what becomes of the space.